The 4-star Maritim Crystals Beach Hotel is situated at Belle Mare stretching along one of the most beautiful beaches of the island. 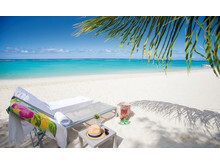 Time for two: The Maritim Crystals Beach Hotel offers several idyllic places for your perfect honeymoon with its turquoise lagoon and its romantic squares. A new recognition for this elegant and contemporary property managed by ‘Maritim Hotels’ and inspired by the sugarcane theme. 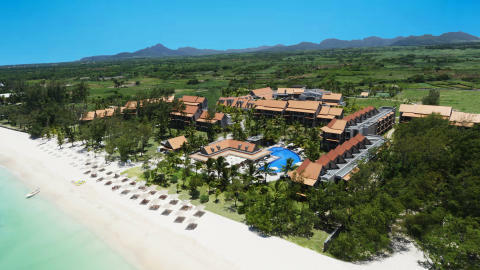 ‘It goes along with the vision of the Group to be the new leading 4-star property of the island,’ declared Andrea Nestle, General Manager of Maritim Crystals Beach Hotel Mauritius. The 4-star Maritim Crystals Beach Hotel is situated at Belle Mare stretching along one of the most beautiful beaches of the island. This hotel with an architecture, interior design and concept inspired by the sugarcane consists of 181 modern rooms of minimum 50 m2, including luxurious Junior Suites, all sea facing and equipped with modern furniture. Extending the dream, the hotel offers a wonderful selection of 2 bars and 4 restaurants. Among the facilities offered, there are two wide heated swimming pools including one overlooking the lagoon, wellness and fitness centres, an infinite range of land and water sports such as free stand up paddle and also professional kite surf and diving centres on site. 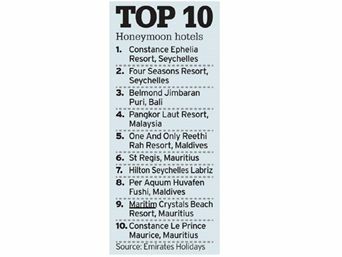 The hotel is the perfect getaway for couple or family... 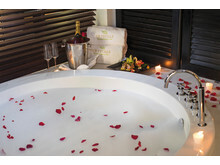 Your Sweet’Ile Escape. A selection of magnificent event venues is awaiting the bride and groom in the Maritim Crystals Beach Hotel.